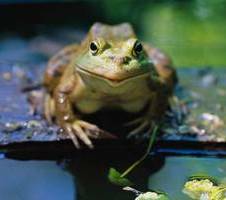 Amphibians, both predator and prey, play an important role in wetland ecosystems as indicators of environmental health and quality. After a short introduction, guests will meet several live frogs and a salamander. A short trek Program is intended for adults and families with children 5 and up. Please dress for the weather, program is both in and outdoors. Rain or shine. Space is limited and pre-registration is required.